Thai investment seminar "Thai BioPharma: Your New Business Opportunities" was held on August 29 (Wednesday), 2018 at the COEX Korea Exhibition Center in Seoul's Samseong-dong area. The investment seminar, held at 10:30 a.m on the day at Seminar Room B of D Exhibition Hall of COEX, drew a keen attention from the local Koreans in the pharmaceutical area. The seminar was organized by Director Vannipa Pipupchaiyasit of the Thailand Board of Investment, Seoul Office. She is serving as a diplomat, minister counselor at the Thai Embassy in Seoul. She made a detailed presentation titled "Business Opportunity & Incentives for Pharmaceutical Area and Government Support in Thailand." 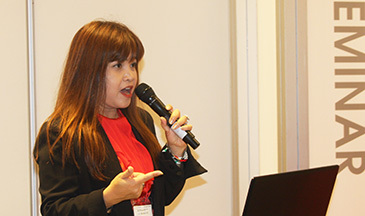 Director Vannipa Pipupchaiyasit of the Thailand Board of Investment, Seoul Office delivers her presentation at Thai investment seminar held at COEX in Seoul on August 29, 2018. She is minister counselor at the Thai Embassy in Seoul. Prior to her presentation Thai Ambassador to South Korea Singtong Lapisatepun delivered a congratulatory speech. Vice Chairman Kevin Kyunghwa Huh of Korea Pharmaceutical and Bio-Pharma manufacturers Association (KPBMA) also made a congratulatory speech. 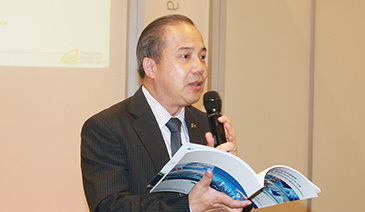 Director Pipupchaiyasit stressed the need for mutual business cooperation of Thailand and South Korea in the field of pharmaceutical market, mentioning the merits and benefits of investing in the market in Thailand. She also enumerated the factors and reasons of why Thailand can become the medical tourism center of Southeast Asia in her lengthy presentation. Thai Ambassador to S. Korea Singtong Lapisatepun (center) poses with other VIP participants at Thai investment seminar held at COEX in Seoul on August 29, 2018. To his right is Director Vannipa Pipupchaiyasit of the Thailand Board of Investment, Seoul Office. The Thai investment seminar was held as a part of "CPhI Korea," the three-day event for pharmaceutical industry, which kicked off on August 28, 2018. "CPhI Korea 2018," organized by the Korea Pharmaceutical Traders Association (KPTA), attracted a total of 175 companies from over 60 nations around the world. "CphI Korea" showcases such products as fined chemicals, finished formulations, natural chemicals, pharmaceutical ingredients in the medical, pharmaceutical, and herbal industries. CPhI stands for Convention on Pharmaceutical Ingredients.